Mix the milk, pinch of salt, cinnamon, vanilla and eggs in a large bowl. Beat with the help of a fork. Add the slices of bread to the mixture and make sure they’re moist on both sides. Heat a saucepan over medium heat and let the butter melt. Once the saucepan is nice and hot, place the slices of bread on the pan and brown on both sides. Once ready, serve on a plate with cubes of butter and powdered sugar on top. You can use bread that's hardened over the week to avoid being wasteful. You can serve with whipped cream and/or blackberry or strawberry jam. Every week, I patiently await the arrival of the weekend. Not only because it allows me to sleep in more than I'm used to, but also because it gives me the time to do my favorite things like going out for brunch or enjoying it at home. Realistically, I love cooking and there's no better time to hit the kitchen than on my days off, allowing me to recreate the dishes I long for during the week. This past weekend I took a peek into my fridge and realized I had all the ingredients I needed to prepare a dish I usually order at restaurants, so I took advantage of some leftovers, in this case bread, and set myself up to prepare this treat. 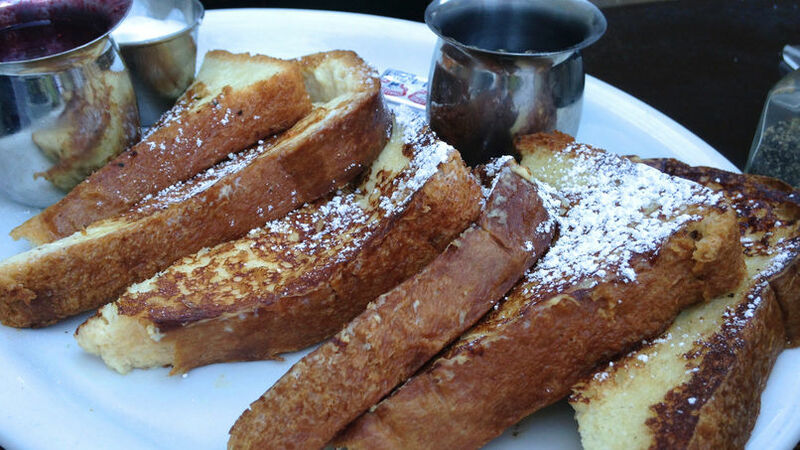 The breakfast I prepared was French toast, perfect for a late Sunday morning brunch.